Call To Action Conference is a 1,200 attendee digital marketing event in Vancouver, Canada created by Unbounce. The conference is carefully curated to teach attendees next-level, actionable marketing tactics they can utilize the very next day. and learn how they can get the most value of it. 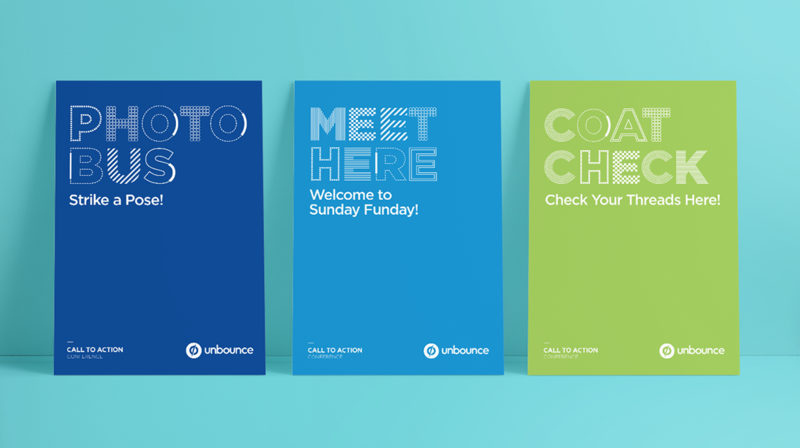 This area made us experiment with the branding language across 20+ applications. From an app to signage, to memory cards and even pins. Every piece was crucial for offering a cohesive and delightful experience. We created a title sequence with the goal to elevate our identity and to brand the space while we were kicking off the event. The conference’s letters are the hero elements while the speakers are introduced little by little with the rhythm of the music. 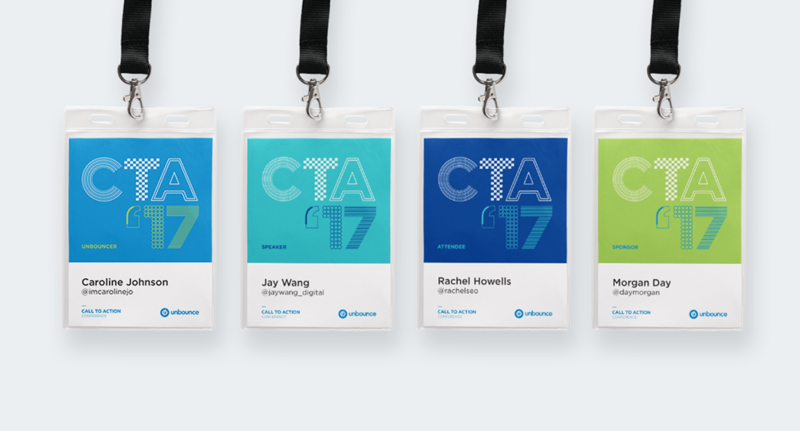 “CTAConf has set the bar for what a marketing event should be: fun, engaging and insightful. No matter the experience level or skill set, every attendee left with a new set of philosophies and tactics to apply in their marketing practice”. Want to learn more about the process behind this project? Check out this article. Want to check out all the conference’s videos? Click here. 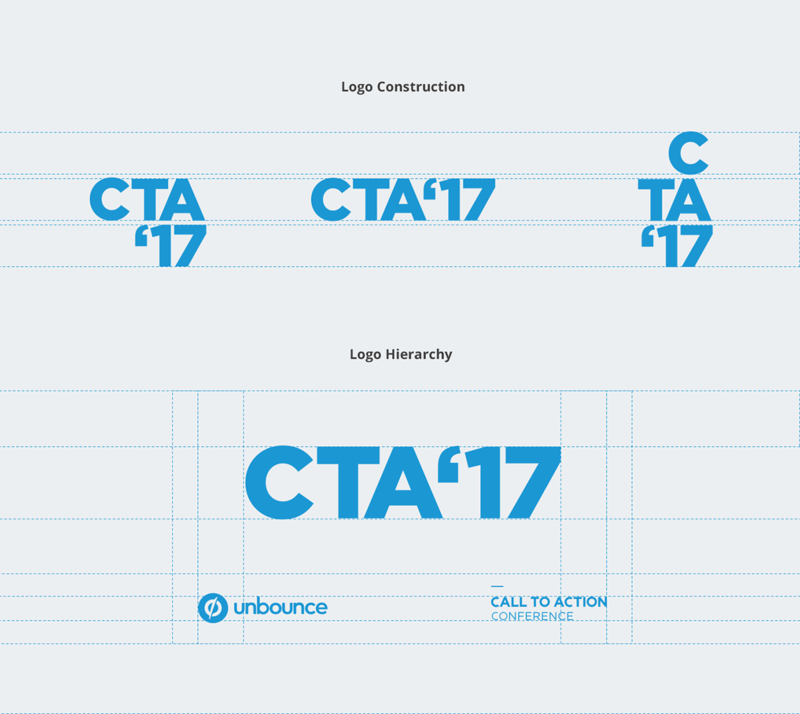 Thanks to all the CTA Conf team and the people at Unbounce. 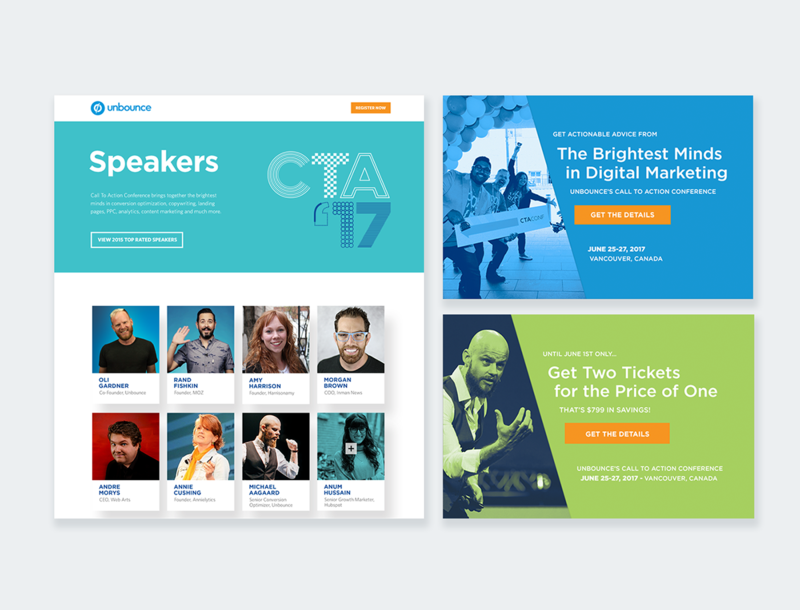 Call To Action Conference is a 1,200 attendee digital marketing event in Vancouver, Canada created by Unbounce. The conference is carefully curated to teach attendees next-level, actionable marketing tactics they can utilize the very next day. To meet our 2017 goals, we created a new brand based on last year’s key learnings: increase brand awareness, deliver a 360 experience and use resources wisely. 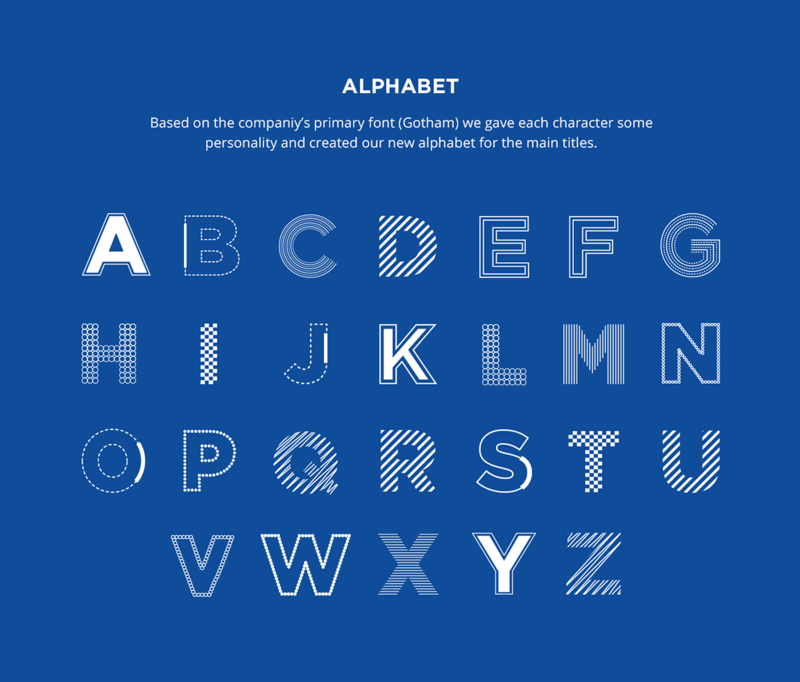 We gave the brand a typographic approach were we illustrated an entire alphabet, applied it to the conference’s simplified name and used it as the primary element of almost every asset.